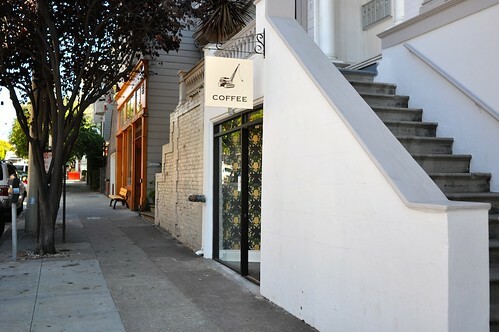 Visit our full-service coffee cafe in the Cow Hollow neighborhood of San Francisco. We offer a full menu of espresso drinks, brewed coffee, hand-crafted pourover coffee on our custom-built brew bar, as well as a selection of teas and herbal tisanes. Our wonderful pastries are from our very good friends at Marla Bakery. Also available are our full selection of whole-bean fresh roasted coffees, and Kalita coffee brewing gear. 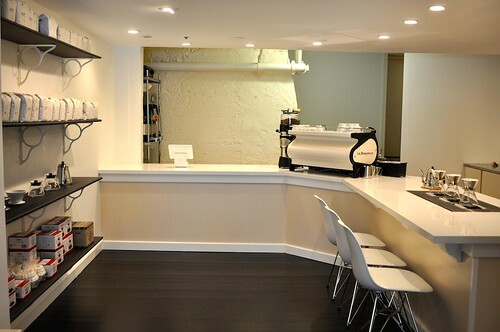 We designed the cafe ourselves, with equipment support from La Marzocco, Wilbur Curtis, Acaia, Mahlkönig, and Square. Prominently featured in the cafe is a wallpaper from Hygge and West, which was designed by Rifle Paper Company. Our aprons are designed and made locally by Studio Patro.